Listing Summary: Colliers is pleased to present the single tenant triple net leased property at 27 Junction Drive West in Glen Carbon, Illinois. 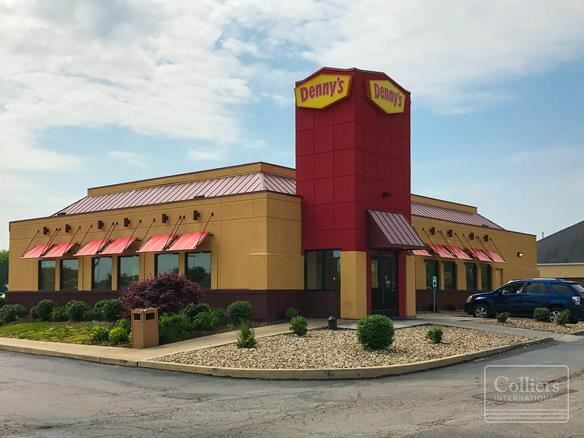 The tenant is a Denny’s occupying the total building area of 4,510 square feet, all of which sits on a 50,336 square foot lot. Total Lot Area: 50336.00 SqFt. Colliers is pleased to present the single tenant triple net leased property at 27 Junction Drive West in Glen Carbon, Illinois. The tenant is a Denny’s occupying the total building area of 4,510 square feet, all of which sits on a 50,336 square foot lot. There are approximately 51 parking spaces available that run with the parcel. The property is an outparcel to Walmart and within close proximity to the 270 and 55 Interstates.